We had finished dinner and being a bit hungry I was in the kitchen looking for more. As we had been away for a week there was not much but I had found something which at the moment I forget what but as I took a step I passed out and came to on the floor a few seconds later. Narda was standing next to me and thought I had slipped and fell. When I came to I was quite disorientated or more disorientated than usual may be more accurate. And confused to add. Having never had passed out, or at least not in a self-propelled way as I may have on occasion done when I was past my youth but not quite to maturity – some time in a seemingly very distant past, this was all new territory. I had a sore knee from twisting my leg on the way done and not being conscious to stop myself I had not grabbed anything to slow my descent – OK so it is not like parachuting from a great distance in the stratosphere but it is still a long ways to the floor when the microwave is at eye level one second and the floor the next. I pulled the dishwasher out of its place so I did go down with a thud. It was not a near-death experience because there was no tunnel with angels and whats-his-name at the end shoving me quickly back into the physical so I could constantly work off whatever karmic dept to the universe I seem to be laboring at. Narda was concerned. I was confused. I assured her that obviously I just slipped on some butter that was on the floor but for whatever reason there was no apparent sign of butter when I went to show her. I said not to worry to her running for her phone to ring the Beijing SOS clinic so they could ring our doctor who actually lives here in Campus Village but we are not to go banging on the doctor's door but have to go through protocol. Narda has in large print on our door the SOS clinic telephone number because, yes, we have used it before – see http://wp.me/pcHIf-eS when for some reason I seemed to have become unstuck after eating something and within fifteen minutes of her calling Beijing I was in the emergency room of our clinic (two floors below us) and with a drip into my arm. This seems to be my year for medical stuff I think. To keep Narda happy, which as a useful husband type of tip, I can offer, by saying it is always a good thing to keep one's wife a bit on the happy side if at all possible. Of course that has to be balanced in a sensible and creative way though the sensible part I must admit I have yet to master but the creative part I have down really well. I just say 'yes dear'. Nevertheless Saturday morning we took the elevator from our third floor apartment to the first floor and walked past the lobby to the clinic. We call life here 'assisted living' and any teacher living at Campus Village would agree. Doctors rotate every eight weeks and on this eight week rotation we had our really great doctor, Wilhelm. Steve our other rotating doctor, and the one who looked after me when I had my bit of food poisoning episode is fantastic too. Wilhelm did lots of tests on me from blood letting to EKG and the like and was so concerned he thought maybe I should stay in the clinic for the weekend or at the least to take it easy. I chose the latter and played softball with our school team against the local Taiwan mob as we do each Sunday. I did a bit lighter weights for the next couple of days and no free weights of rather heavy; heavy for me as I am 66, just 60 kilos (132 pounds) that I have been building up from, but taking Dr. Wilhelm's, I thought overly-cautious, approach, I only did the attached weights. I did not swim either as he was concerned I would pass out in the pool and that could pose a problem. I went to work as usual because I love work, I love creating and teaching film and just having a great time with technology. I surely had no intentions of staying home and being old. Wednesday I was sent into Dalian to the Vitup Hospital and had an ultrasound and a halter-cardiac monitor attached to wear for 24-hours. I felt light headed and a bit wobbly and a bit spacy but that is pretty much how I feel most of the time anyway and have since the 1960s so I am quite use to it except the degree for normal behavior that I have enjoyed or not enjoyed at times for the past 40 years was increased though not enhanced. So of course being the verbal person I am I told my doctor I was not quite the same in the head as I was and he seemed a bit more concerned and started talking about maybe going to Seoul or Hong Kong for a bit of a more thorough check-up. I thought I could do the same in Beijing but he was not so confident. Over the next few days the talk became more of you need to go to Seoul or Hong Kong with Hong Kong being the doctor's choice. I was in favor of Seoul because it is one hour away and a che aper flight where as Hong Kong is 3.5 hours direct flight and twice the airfare. I was still doing my weights and Friday morning we rode bikes to our local shopping area before school and on the weekend I played softball and went to the dentist. We were booked into the Adventist Hospital 40 Stubbs Rd., Hong Kong and staying at The Emperor Hotel in Happy Valley. On the way in from the airport the taxi dude said this was a very busy night to drive to our hotel as the races were on and it was Oktoberfest. Our hotel was a five minute walk to The Hong Kong Jockey Club. Yes this is an actual photo of our walk-in and somehow we managed to get up the stairs and into the stands. 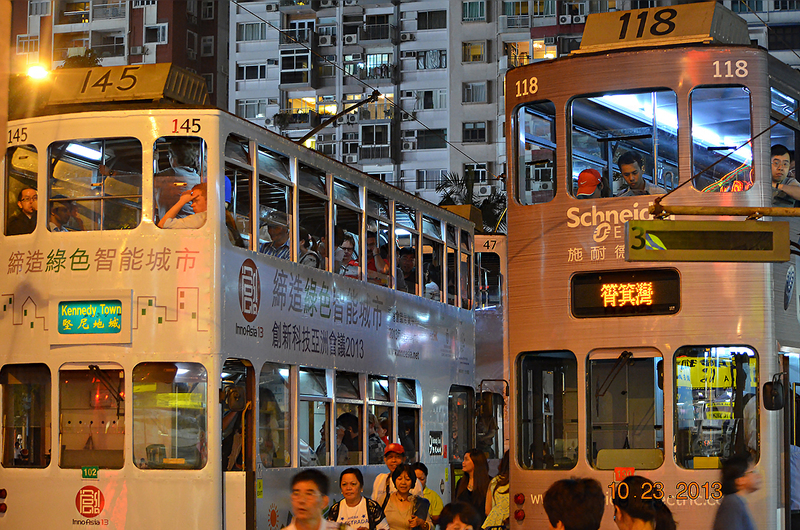 The cost to get in was 10 Honk Kong dollars ($1.29 US). I was mixed up with feelings; I was getting tested 9 AM the next morning and possible surgery as a result of it, I just wanted to be back at work. Who wants to be at work? 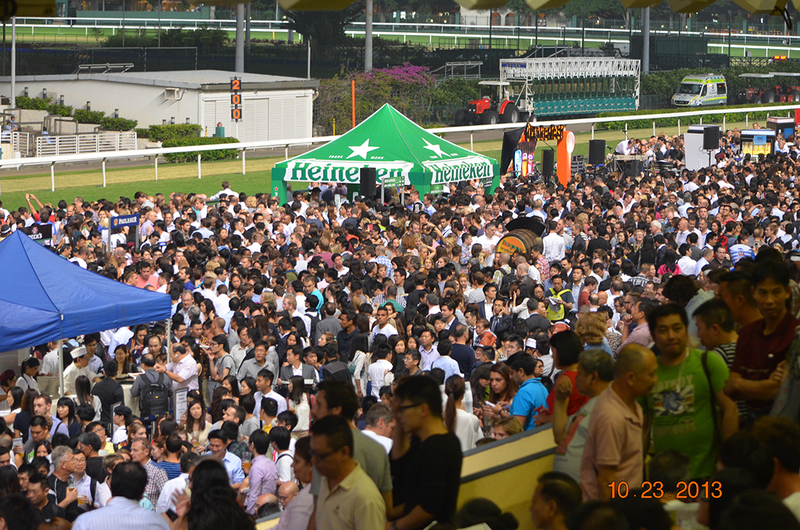 Here we were in Hong Kong at the races, except if things went a certain direction I could be cactus in a few days. I listened closely to my heart – not in a romantic way where I am all goo goo because I am spending a night with this kool chick from Australia – oh wait that is my wife, and of course that is romantic an all but what I was listening to was whether my heart was physically doing the correct thing and thumping away like a normal heart should – and it sort of was but not completely. I wanted to relax and enjoy the moment. I had only ever been to horse races twice in my life. Once Narda and I went to the races in Saratoga, New York. (you know that song by Carly Simon “You are so Vein”? “ Well I hear you went up to Saratoga and your horse naturally won...”). Of course we own houses in Round Lake just a fifteen minute drive from Saratoga Springs and I grew up a short distance from there too but I only ever went to the races the one time with Narda. Another time Narda and I went to a race in Adelaide, South Australia and that is it. We made a couple of bets when at the Saratoga track but I do not recall whether we won. This time Narda said 'let's place a bet'. First of all we had no idea what to do, secondly we could not get the folks at the betting counter to understand what we wanted. They did not speak English and we did not speak whatever they spoke. We watched for awhile and by race three we decided it was time to jump in. Narda picked by numbers – the number 23 because it was October 23, we were on the 23rd floor of our hotel, we sat in row 23 on the plane and there was some other times the number came up so she picked a horse with a 23 to one odds. I looked out in the paddock or whatever they call the area they warm in and one horse was just not in sync. It would rear its head, go the opposite direction of the other horses and just was generally ready to take off. I thought that if I were a horse that is exactly how I would act, a bit of all over the shop type of animal, so I picked horse number five. Feeling not lucky, how could I? I was off for heart inspection in a day I was conservative and put 10 Hong Kong dollars on horse number five, the same amount Narda put on the horse with a 23 to one odds. Horse number five, King Derby, was behind all the other horses most of the race. Coming around, I think they call it the clubhouse turn – or at least where all the stands are, I could see horse number five go to the outside of all the horses and just pass them right to the crossing line when it drew level then passed the lead horse, to win. 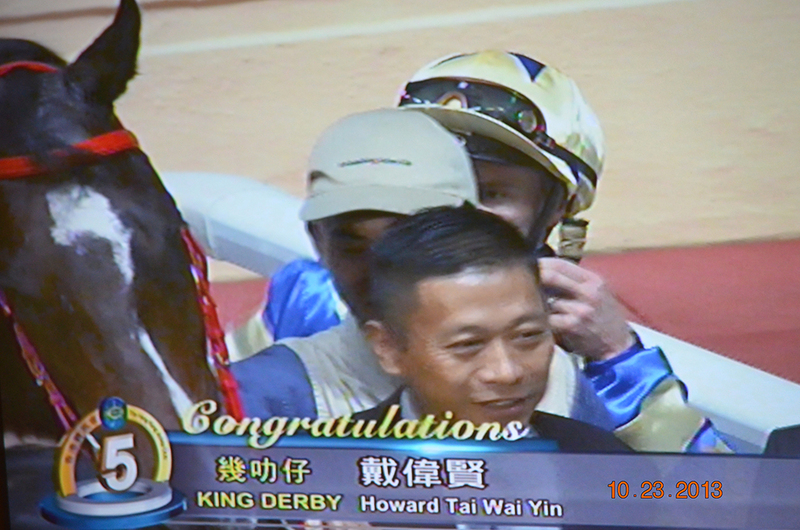 The odds were like four to one so we ended up with 44 Hong Kong dollars which paid for our two bets, the entrance fee for both of us and with a bit of a top up there was enough left for me to purchase a small carton of soy milk. I did not want to bet on another horse because I did not want to leave as a loser which could have happened. Yes of course eventually we got back to our hotel, I am writing this a couple of weeks later and I think I am still alive. 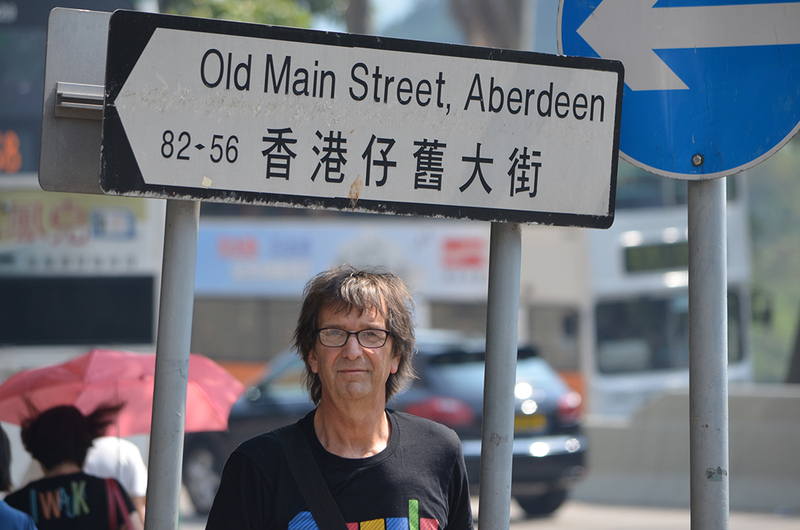 As a matter of fact next week today we will be back in Hong Kong and I will be getting a bunch of tests to continue on with what I will say befell me whilst in Hong Kong back at the end September. So yes, I believe I am alive. Still! Still as in quiet compared to my pre-Hong Kong self. The next morning, Thursday, I was off to Adventist Hospital to get tests. I met Dr. King the cardiologist who was going to sort me out and I was sent off for eight tests. In Australia when I go to the heart centre and see my cardiologist each year the visit lasts about ten minutes, this has been going on for about a decade. He takes my pulse, does a couple of readings and sends me on my way with a sentence or two of advice. I thought this would be the same, just pop in – OK spending a couple of thousand of dollars to go and get that advice wasn't what I wanted but Dr. Wilhelm thought it was important. I liked Dr. King. He had a sense of humour, was good at explaining and said he would arrange for a few tests. Then and there. All day Thursday. Seven or eight tests. A stress test on a treadmill with lots of monitors and beeping machines as the endurance speed and difficulty were increased to a point where the machines made more frequent noises and I felt worse. Then on to blood tests, a PET thingy (Positron Emission Tomography). In this test, I had a radioactive dye injected so that my heart showed on the scan. Laying down I was shoved into a doughnut-shaped machine to have images taken of my heart. When the dye went through there was a hot sensation going through my body which was not good. Being claustrophobic from an incident in my adolescence I spent about an hour in semi-panic. But the worse was yest to come; the MRI (Magnetic Resonance Imaging). Again, laying down on a table inside a long tube-like machine that produced a magnetic field and again feeling quite claustrophobic with large banging sounds each time the magnets did whatever they did. I had a heavy plastic mask put over my face either because I was too ugly for the nurses to look at or to protect me from I know not what. It was like a helmet players of American Gridiron games wear. When I lived in the States we called it football but in Australia they say gridiron as footy is what Australians play and football is soccer some places but no matter what the sport having one on and being inside a tube fastened down was not fun. What was worse than the banging noses was some weird background music. Someone playing the same piano piece over and over. This went on for an hour. There is a button to push if one gets too stress and at some point I did and they took me out of the tunnel. I sat up said it was all a bit too much and being sympathetic nurses they smiled, took my helmet face mask off for about ten minutes put it back and and shoved me back for more noise and said this time it would be only for another fifteen minutes which somehow I endured. There was another test which I do not remember the name of where I was hooked up to several monitors and laying down they wanted to shove me into yet another machine. There was some problem with it because I have a very irregular heart beat and on their monitor it showed my pulse in such a low range – low in the teens – that the technician in charge got a bit worried. I told her it was her machine that was malfunctioning and not me. She said she had never had a problem with the machine and that maybe something was drastically wrong with me. She called in several other people and they all looked at me then the machine and they all looked a bit worried. I said it was their machine that sucked. Fortunately one technician had enough sense to physically take my pulse and she was relieved and I commented that it was their machine. They hooked me up to another machine and that seemed to work better. Actually this test was before the PET thingy because they had already put the dye into me and they had to have their monitors working before shoving me into the PET thingy. They said the new PET thingy could work with people with irregular hear beats like mine but there was only one of the newest machines and that was at Sanatorium Hospital, which incidentally was across the street from where we were staying and had a view of the horse racecourse. I of course volunteered to be tested there as being surrounded by 5 or 6 concerned, worried, semi-confused technicians, nurses and doctors was giving me the heebie jeebies. Someone rang Dr. King and someone said OK, probably the same person and it was all back on with me being put into the Pet thingy. There was the CT scan and the Ultrasound and a 24-hour wearing a halter-cardiac device all to find out what was in (too much calcium?) and what was out with what could be wrong with me if indeed anything was wrong. Well that didn't work out did it? Dr. King said that I had a few narrow arteries filled with calcium and that I would need surgery. He said until he put a catheter into my arteries he would not be sure but I would need at least three stents. He went over what the procedure was about and that Sunday would be good to do it. Being a Seventh Day Adventist Hospital they were not in full swing on a Saturday. I think Saturday is their Sunday. Go figure. Nevertheless with this not so groovy news we set up for Sunday to be a day of no-fun. I was to check in Saturday night – OK so they let people check-in Saturday but operations get put off until Sunday. I was listening to Janis Joplin sing 'Another piece of my heart' in my head and wondering whether I should make this my phone's ring-tone. Of course like everyone I have my brush with fame story; Janis Joplin. 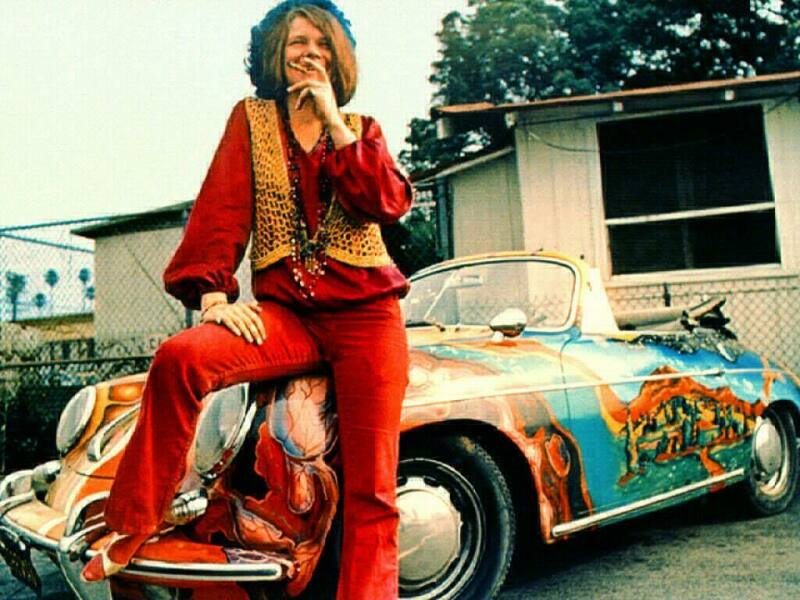 Back in 1969 I was almost run over by her in her Porsche. I knew it was her. We all knew that car as she sped around San Francisco. I use to go and listen to her at the Fillmore and in Golden Gate Park and I still listen to her when I am lifting weights at Campus Village at Dalian American International School 44 years later. Strange how things stick in one's mind but I always remember that moment and how close I almost came to my end then but didn't and she did not long after and here I am writing about her instead of her writing about me. Not that she would but perhaps if she had lived and I had been knocked over I could have featured in one of her songs and she could be tweeting about how even now 44 years later she remembers that moment. But of course that is all silly to think of now when I am writing about something totally different. My heart. We went off to the billing department and they said we would need to get in touch with our insurance company to get pre-approval and that of course there should not be a problem with that. Having had problems with our insurance company for the past three-years we were not that confident. Someday I will put into writing the name of our insurance company but as we need them now and in the near future we will just say 'our insurance company'. We rang the insurance company from the hospital and they said to send them a bill for the pre-approval. We took a peek at the future bill (the tests were only in the $3000 plus range) and sort of gasped. Seventy-thousand plus (not Hong Kong dollars but USA dollars) for a night in the hospital plus a few stents tossed in. I was thinking the insurance company would be better off paying off my fifty-thousand dollar death coverage than to pay this but over and over we have been told that we have a really good insurance company. Yeah right! So we went back to our hotel and wrote Dalian American International School to say we will not be back until Wednesday as I am having a bit of surgery on Sunday and I need to rest for two days so we will fly back Tuesday night and I would be back at work on Wednesday. Narda and I wrote and sent lesson plans for the extra two days. Friday night we made multiple phone calls to both the China and the USA departments of our insurance company. This spilled into Saturday when we were told over and over that it would all be cleared up in a couple of hours and we would get the go ahead. By late Saturday afternoon we had to cancel the Sunday surgery as we had still not gotten the OK. All day Saturday we rang speaking to one person after another each saying it would be a matter of a couple of hours because anything over fifty-thousand dollars had to go to an underwriter. We went to Stanley Market and did a bit of shopping and then we discovered we had to move out of our hotel because Sunday night was booked out. We had planned to fly back to Dalian Sunday. Happy Valley was getting to feel like home and of course just a couple of days earlier we had our big win at the local track so moving was not going to be fun especially when our insurance company was being mean to us. One person, she was a supervisor, suggested we go to Florida because I could have the same operation done for about 45-thousand. We could not believe someone, especially a supervisor, suggesting we fly from Hong Kong to Florida to save the insurance company money. We did find a hotel; L'Hotel Island South http://www.lhotelislandsouth.com/eng/front/ and it was really a good four-star place. We got a room with the mountain view on the 32nd floor and thought OK if this is where we have to bunker down for a long time this will be it. We moved in Sunday afternoon still getting phone calls saying it would just be another couple of hours. Narda was emailing everyone she could find in the insurance company and still at mid-night Saturday she was ringing and emailing. Finally someone said that the underwriters don't work on weekends and that we should know within a couple of days when they got back to work on Monday. It was looking more and more like we were going to be stuck in Hong Kong for awhile. Sunday we went to Aberdeen and found a great little restaurant on Old Main Street, Myanmar Thai Palace. We are going to Myanmar for Chinese New Year in January to see our ex-workmates; Frank and Kay and we are going over with Jean and Sean so it will be quite the crazy week. There in Myanmar. Going back to L'Hotel Island South we took a nap in the afternoon and at 5 pm we got a phone call that the insurance company had approved it. One of the many people Narda had phoned had pushed the whole thing through. Actually it was the head of customer service, a man in India that Narda has contacted many times to sort out situations from the past. Nothing major just some basic tests we get done every year to be sure we are functioning well, stuff like that. The amount of work the insurance company goes through to get out of paying anything is always remarkable. But this one dude on a Sunday morning had gotten through where no one else was able to and got us moving forward. Saturn takes 28 years to get to this position and to have Uranus in trine to my Leo planets (Venus, Saturn Pluto, Sun, Mid Haven, Part of Fortune) is statistically almost impossible – maybe the planets get in this position every few thousand years. Lucky me. Jupiter was still in trine with my Jupiter – separating two degrees so that was helpful. Pluto (is that still being used as a planet now that it has been kicked out as a planet?) was inconjunct or quincunx to my Venus and of course square by nature of the qunicunx to Uranus at the time. If I were to believe in this stuff I would have been alarmed that transit Saturn was conjunct Mercury (was there some bad advice being given?) meaning that both planets were squaring exactly my Saturn Pluto conjunction (I used to give presentations and wrote some articles on the Saturn Pluto conjunction in Leo being the symbol of the baby boomers. All that free-love (Leo – heart) with Pluto overthrowing Saturn. I had really lengthy examples and proofs sort of back in the day. Now I just ramble on and no one has a clue what I am talking about. Narda just popped in, she watches all these medical shows; 13 years without fail she watched 'ER' and now she is going through season after season of Grey's Anatomy. She loves all this medical and I don't. I have never watched any of them. So Narda asks what I am writing about and I am sitting here with the astrology chart for 28th October on her iPad and I am saying I don't believe any of this anymore and she says if you did what would that chart say? Every few minutes nurses would come in and take my blood pressure, give me some medication, take pulses and I would ask to see the menu again. At four pm I got rolled down the hall all neatly snug in my bed with my lame looking gown on and things hanging out of me and over me. Not that I see many hospital movies but times that I have passed through the lounge and Narda has one on there is always some poor joker on a bed being wheeled into surgery. Now I was one of them. I looked around for the camera crew and the make up artist but I was put into the operation theatre with little fan fare. Narda could not even come in. To make matters worse I was not given some really nice powerful mind altering drug. All they did was put some local numbing agent on my arm where they were shoving a needle up my vain and into arteries around my heart. I could see what was going on with three big screens in front of me and none of it looked to comfortable. Actually I was very uncomfortable and kept hearing 'you have to lay still'. I never sit still and never lay still but I was trying. All the time my chest was feeling like a heart of elephants were doing a ballad on top of it. It was all so uncomfortable and there were so many people with jobs. I counted 9 at one time. But this is China. There are always a mingling mob for each job. I think it is called full employment. Everyone looked quite concerned and busy with their tasks at hand. Of course they all spoke in some language that I was not familiar with. If only I had taken those Chinese language courses offered at our school. Narda and I did one and we sort of never got back and here we are three years later not knowing anything. I tried to take my mind off of what was going on by thinking about useful stuff. Like my lesson unit – that put me to sleep and they said I had to stay away so I thought of places I had lived, things I had done. Most of all I wondered if these people had a clue of what they were doing. I thought about various stuff I had believed in during my time on this planet and wondered if everyone changes their beliefs as often as I do. I suppose it is a times like this when someone is shoving rods into the heart that the question and importance of life become forthcoming. Unfortunately I did not get any insights. I no longer do. I think it has to do with our school taking on Standards. It makes people stupid; both teachers and students alike. We are losing the creative aspect and teaching sameness and in-fusing it into bland world of massive robotic proportions. I use to believe in reincarnation, astrology, evolution and all that kind of stuff. Now I believe we are just the fodder, unripe food for the next wave of people/machines which of course will be combined and already has its start with Google Glass and other wearable tech things. My son Sacha said if I could wait a few years they would just send in an army of nanobots to clean stuff up and stitch the veins. I could have main vain veins with a search engine embedded that would scour the world's medical knowledge and new procedures and not only find but implement the procedure and create the fixings by combining DNA strands various cellular molecules and have nanobots fly out of my ears and go off to factories in distant places maybe on another planet or asteroid get what was needed and arrive back to my body and go to the factory somewhere in my body and fly off to the part of my body that needed fixing and life would be beaut. I could have a whole nano-factory built somewhere in my body and a constant movement of things fixing and improving throughout my body as I lifted weights at the gym and listened to Janis Joplin. There were three large monitors that I could watch what was going on on. I looked up once or twice and it sort of freaked me out so I went back to thinking. This all went on for more than two hours and I just could not find a good range of thoughts to centre on. Back in the 1960's and 1970's I use to believe in all the mind control of your body stuff. For years I carried around The Science of Mind, by Ernest Shurtleff Holmes  believing all that crap. He was on about how our thinking creates diseases in our body. For example negative thoughts created negativity which manifested as dis-ease, not at ease, in our body. I furthered this thinking for a decade in the Holy Order of Mans when I was a brother in their centres in Hawaii, San Francisco, Cheyenne Wyoming, Wichita Kansas, Detroit, Syracuse New York and finally Baltimore Maryland. They had all this material about the higher Self and how our body was just a vehicle we traveled about in and if things went wrong it was karmic from some other lifetime or the miss use of energy now. I managed to go through their initiations of Self-illumination and Self-Realization before leaving for good and learning to re-live my life without the muddled illusions of superstitious belief systems. I must admit though whilst having stuff shoved into my arteries next to my heart and a herd of elephants doing the Watusi on my chest I tried to rise above my body or at least try to do something more metaphysical than just lay there hurting but I did not have any luck. My mind has ground down into the physical so strongly that I wonder how did I ever get into believing all the hocus-pocus stuff I once believed in. The menu is great. I ordered half the stuff on the menu then ordered some more. Narda stayed in the hospital overnight. Lucky for you my photos are on my phone which is over in my classroom at school or I would show a photo of the room, probably one with me all hooked up to oxygen and drips and monitors but smiling because the food was good. It was like staying in a hotel with lots of room service. I had to stay in bed until the next day which was making me go funny in the head but we made it through the night and by the next evening, Tuesday we checked out and went back to L'Hotel South. 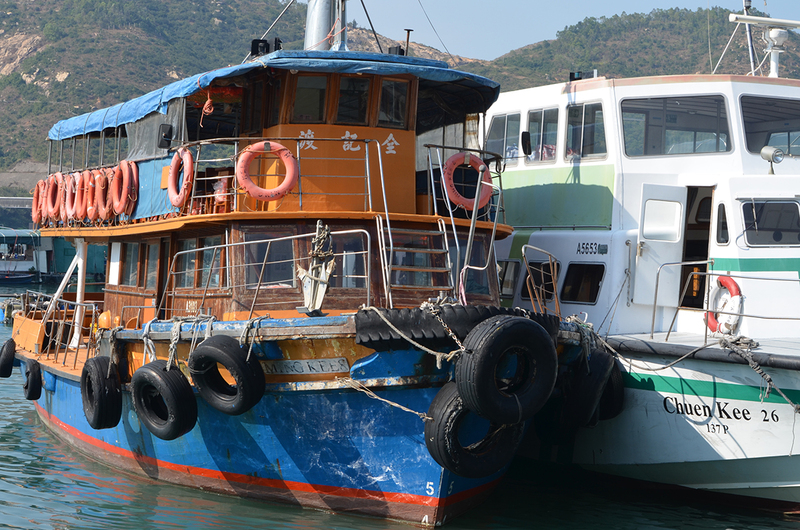 We took a boat over to Lamma Island for the afternoon. Lamma Island does not have cars on it. Like Prince Islands in the Bosphorus Sea outside of Istanbul. We like quiet islands with no cars. Wish they would take them off of that island we call home, Australia. I wasn't feeling to flash, a bit dizzy, light headed and weak. I guess when they poke around a heart it leaves one not feeling their best. We did not make it very far but found a nice quiet beach to sit at and later in the day took the ferry back to Aberdeen and went home. Thursday afternoon we went home getting back to Dalian at 11 PM. Friday we were back at work. The people at Dalian American International School are the best. Lots of welcome backs and hugs (even though I am a product of the 60's and lived in communes in California and did all that new age crap – hey my name is Neuage – I am not a touchy touchy person and don't like hugging but I put up with it this time). The middle school choir, under Tyler, put together a song, Monty Python's Always Look On The Bright Side Of Life and sent it to me. Of course they left out a line or two which would not be appropriate for middle school children to sing – even to an old goat like me. In my middle school class a sixth grader ran across the room and threw her arms around me and said she was so happy I was now OK. I said to the children that it would probably gross them out which of course makes an adolescent want to see it all the more so we watched. Actually there was nothing gruesome to view. On the one DVD we looked at there were 36 video clips – in black and white – showing like a string with a lasso on the end going through the vein to position the stents. One 8th grader who wants to be a doctor after watching for a minute said that I had an irregular heart beat. Well I hadn't even noticed that. which says one out of ten don't need them and that doctors and hospitals make good money doing these procedures. Damn!